The LILUAH SHREE JAIN SWETAMBER TERAPANTHI SABHA has organized its 19th Akhand Jaap (Uninterrupted Chanting) of Namokar Mahamantra for 8 consecutive days first time at its newly constructed Sabha Bhawan. Sabha has been organizing this Akhand Jaap since last eighteen years on the auspicious occasion of Paryushan Mahaparva. The base of Jain Religion is Namokar Mahamantra. This is the key Mantra and all together a different Mantra. In this mantra there is no name of specific person/ almighty. This is the mantra of Salute/ Namaskar to the virtues of the reverend. In this Mantra we salute the soul of great followers on way to the path of Moksha (renunciation/liberation from the karma). That is why it is acceptable to everybody and everywhere. 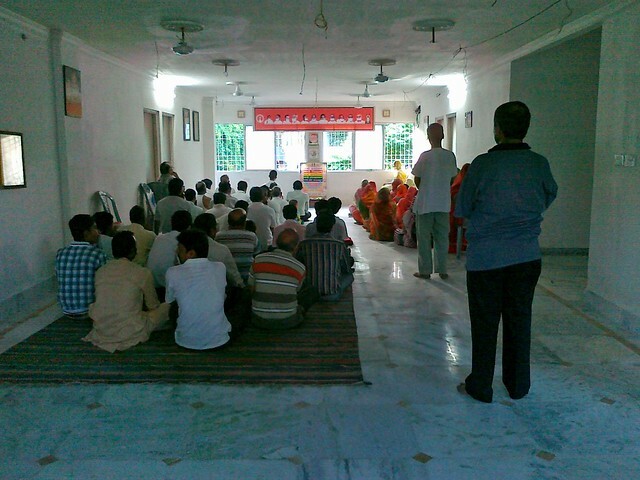 The Akhand Jaap in Sabha Bhawan concluded on the day of Samvatsari. During this auspicious jaap there were -: 930 Samayik by Ladies, 74 Samayik by Gents. 3 persons accepted Pausadh vrata. 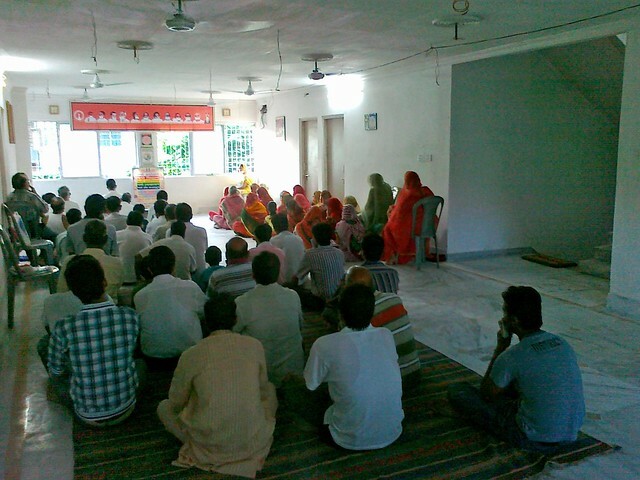 On the occasion of Samvatsari collective Pratikraman was exercised at Sabha bhavan by 13 lay followers. On the same day there were 8 Pausadh (5- 6 Prahar and 3- 4 Prahar). 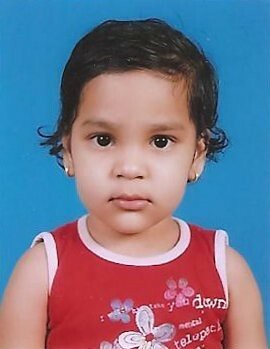 Muskaan Bothra, the Three and half year old daughter of Pravin & Nidhi Bothra (grand daughter of Sri Tejkaran Bothra & Bimla Devi Bothra) observed complete fast on the auspicious occasion of Samvatsari. Last year Smt. Bimla Devi Bothra, grandmother of little Muskaan had done Maskhaman Tap. Smt. Sangita Bothra leads the ladies youth wing and is a Gyanshala trainer from Liluah. In last two months of Chaturmas there were a lot of " Tapasya" also at LILUAH. Mainly - MASKHAMAN (continuous fast for 30 days) by Smt Bela Porwal, one devotee had fast of 8 days, one devotee had fast of 9 days. Apart from this there were fasts for 4 days and many fasts of 3 days were also practiced. The Liluah Sabha has organized programme of Bhajans (religious songs) from time to time in the honor of all the devotees observing fast. A programme was organized at North Howrah Sabha in pious presence of Sadhvi Kanak Shri ji in honor of Smt. Bela Porwal who has done Maskhaman Tap. She was honored by all the local and regional Sabha with literary mementos. Sri Moti Manot spoke on behalf of Liluah Sabha praising the Tapasya done by the devotee. A good number of Sharawaks and Shrawikas from Liluah attended the Paryushan Programmes in pious presence of Sadhvi Kanak Shri ji at North Howrah. The President Sri Pukhraj Baid and Secretary Sri Pravin Pagaria and the other committee members of Liluah Sabha played active role in making all the programmes during the ongoing chaturmas a success. Liluah is the gateway to Kolkata. Its 5 Km from Howrah Station. Over 100 Terapanthi Jain families are residing here.